Complementary transfer from/to selected hotels included. Please indicate the name of your hotel at the point of booking - the most convenient pick-up location and time will be advised in your booking confirmation. Please arrive 10 minutes prior to the pick-up time at your booked pick up location. There might be 5-10 minutes delay depends on the traffic on the day. If you think the pick is late or you are not being picked up, please call The Service Provider and quote your confirmation number to double check. 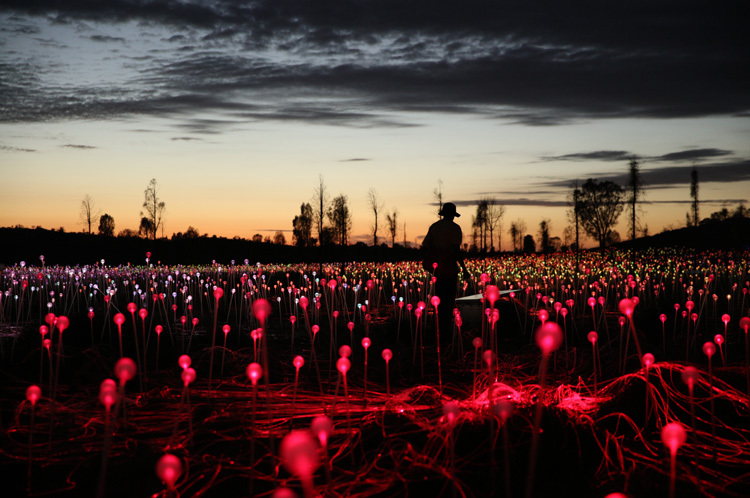 The critically acclaimed Field of Light Uluru by the internationally celebrated artist Bruce Munro has now been extended until 31 December 2020. 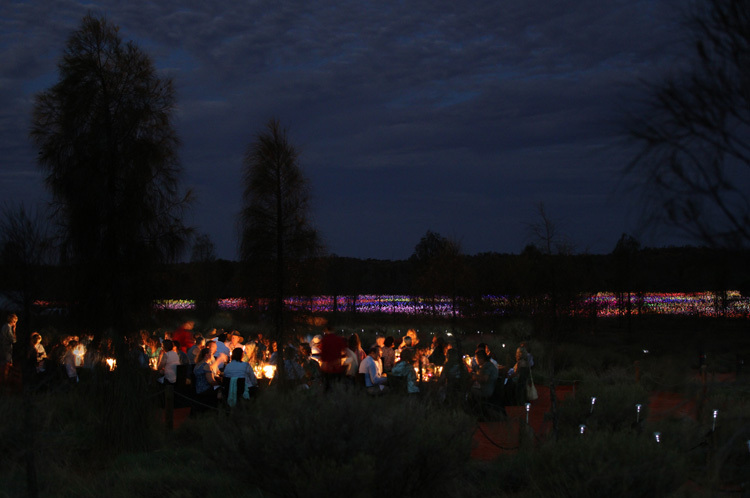 This exclusive dining experience combines the award-winning 'Sounds of Silence' dinner under the outback sky with the once-in-a-lifetime Field of Light art installation. 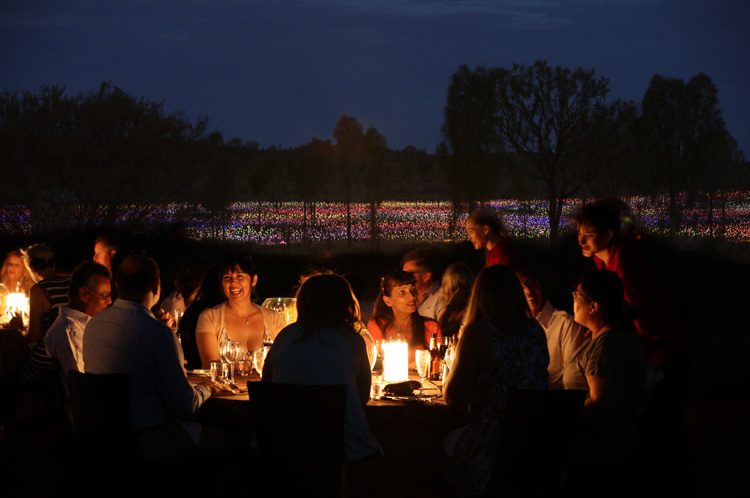 With magnificent views of Uluru at sunset, a three-course bush tucker menu, premium selection of Australian wines and beers, fascinating star talk and a self-guided walk through the Field of Light art installation, your 'A Night at Field of Light' experience is complete. 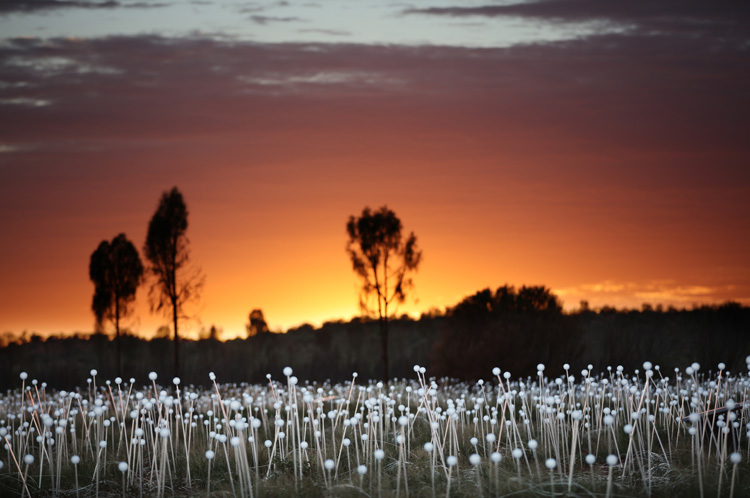 Your host will provide insights to the art installation that awaits you, before you're invited to immerse yourself in the Field of Light, its pathways glistening softly with rhythms of coloured light, beckoning you to explore.